President Pedro Pablo Kuczynski proposed dredging a reservoir in a dry northern region of Peru to extract what he described as "much more gold" than what the country's biggest gold mine holds, according to an interview with a local newspaper. 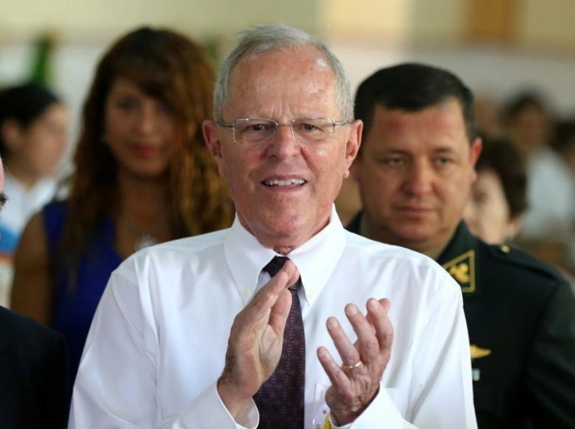 Kuczynski said Poechos, Peru's biggest reservoir and a key source of water for drinking and farming in the northern Piura region, could hold one gram of gold per cubic meter in 580 million cubic meters of sediment. "It has to be dredged," Kucyznski said in a videotaped interview with financial daily Gestion. "It has more gold than Yanacocha, much more," he added in reference to the deposit that Newmont Mining Corp and Buenaventura have tapped for more than two decades. Sediment from the nearby River Chira that feeds Poechos has reduced the reservoir's capacity for storing water, prompting farmers to demand its ridge be raised. Kuczynski said the sediment could be removed from Poechos for 5-6 years to extract its gold before letting it accumulate again for 20 years, a repeatable process that he said would make it "the only mine in the world that's renewable." Kuczynski, a former investment banker who once managed a mine in West Africa for Alcoa Corp, said the same model could be used in another reservoir in Peru, Olmos, which Brookfield Infrastructure Partners LP recently bought from Brazilian builder Odebrecht. Kuczynski's office confirmed the accuracy of his comments. The governor of Piura, Reynaldo Hilbck, said his administration has been evaluating building smaller reservoirs upriver to boost regional water supplies and that a proposal for mining Poechos would have to be studied carefully. "Poechos provides drinking water for five provinces in Piura and irrigates 110,000 hectares of farmland," Hilbck said. "It's the backbone of the economy." Peru produced about 127 million grams of gold in the first 10 months of 2017, up 4 percent from the same period last year, thanks to surging output from wildcat miners in a rainforest region that offset dwindling production from Yanacocha. Yanacocha produced some 17.2 million grams of gold in that period, according to data from the energy and mines ministry. The basis for Kuczynski's estimate of gold reserves in Poechos was unclear. Carlos Galvez, financial manager of Buenaventura and the head of the country's mining association, said he was unaware of any systemic drilling and sampling in Poechos and called Kuczynski's proposal "aggressive."